What do these colorful triangles mean? 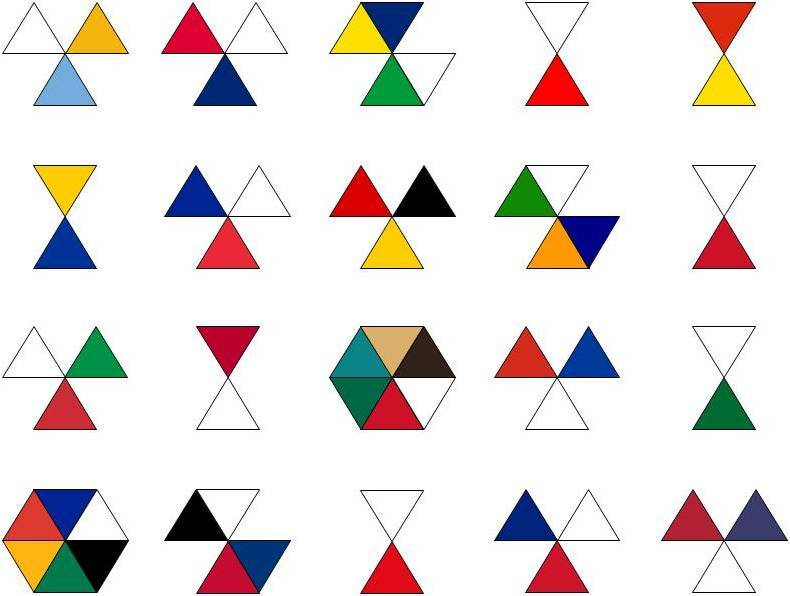 The following picture shows an arrangement of colored triangles. What is their meaning? The colours of the flags of the G20 nations, displayed in alphabetical order. What is the thing the boys could not eat? What is the result of the sum? Tricky Riddle, Wordplay heavy, What is my name?